I love our backyard garden. We've planted a small garden in our backyard for several years now, and every year it becomes more of a family activity as my boys are able to participate and enjoy it more and more. 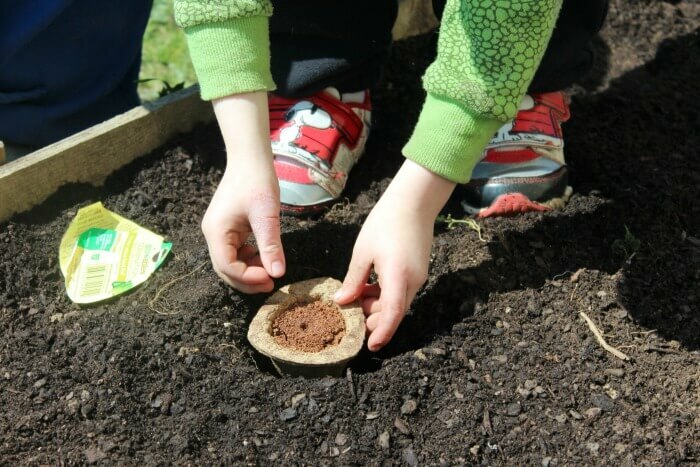 Planting and caring for a garden is a wonderful activity for kids of any age, and offers an incredible array of learning opportunities while also allowing you to get outside and have fun! But you don't have a be a master gardener (I am most definitely not) to create an easy backyard garden. This year we're trying something new and I can't wait to share it with you. We're lucky to have a very sunny backyard, but our hilly terrain is not very conducive to growing a garden. To remedy that, my husband built a raised bed for our backyard garden and it works great! Getting our garden ready is the true beginning of Spring for our family, and this year we couldn't wait to get into the dirt and start planting. I love to get my boys involved in every aspect of the garden, and this year they were super excited to help out. 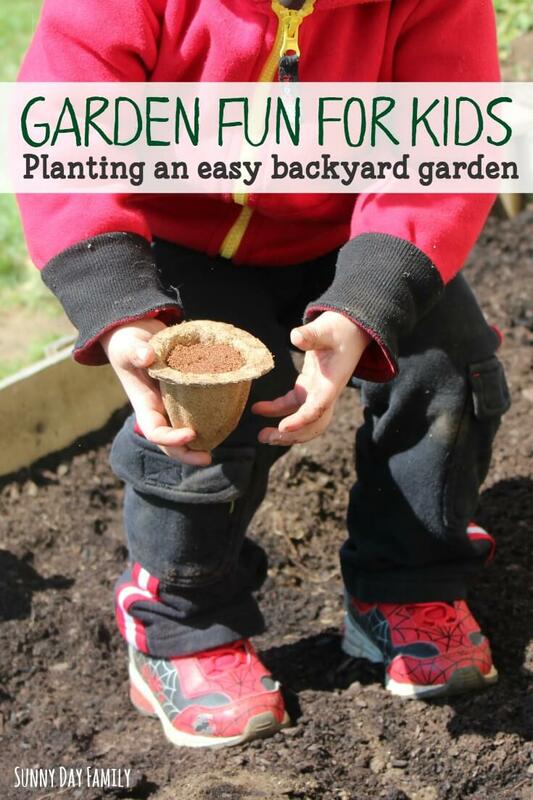 Want to get your kids involved in planting a garden too? Here's how we plant an easy backyard garden together. Start by clearing out any weeds from your garden area. Then add a fresh layer of potting mix. 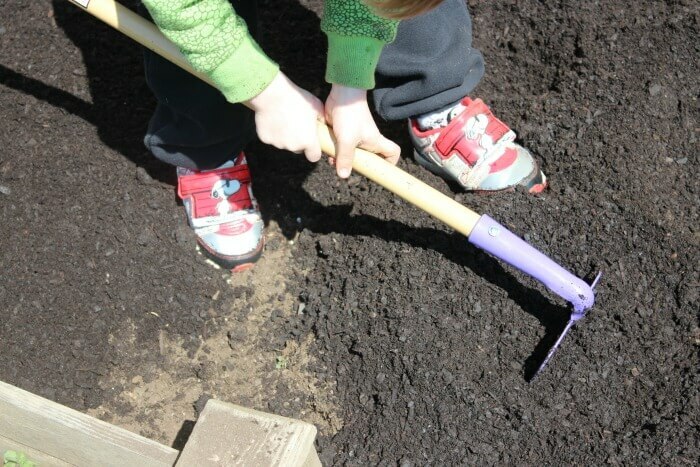 You can find kid sized garden tools and let your kids help spread the new layer. My boys love this part - even though they sometimes prefer using their hands to their tools! Just plan your garden planting for bath night and let them get as dirty as they want. Once the garden is prepped and ready, it's time to plant. This year we are super excited to use a Miracle-Gro Gro-ables Kit to make our backyard gardening really simple. 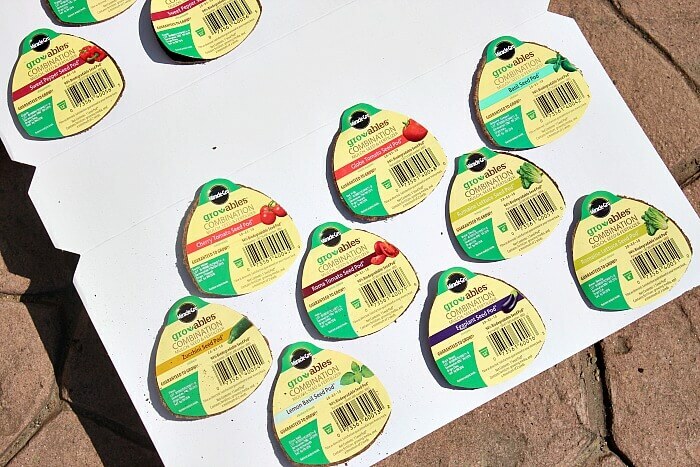 Miracle-Gro Gro-ables are amazing seed pods that contain everything you need to plant a variety of plants - we're doing a mix of our favorite vegetables along with some herbs. My boys were so excited to check these out, and I was really amazed at how easy it was to use the Gro-ables to plant our garden. I let the boys plant the seed pods themselves. All you need to do is pull off the top of the pod and push it into the garden until the top is level with the surface. They were so excited to see which vegetable was inside by the photo on the label - it was a great way for us to talk about different vegetables and where they come from. 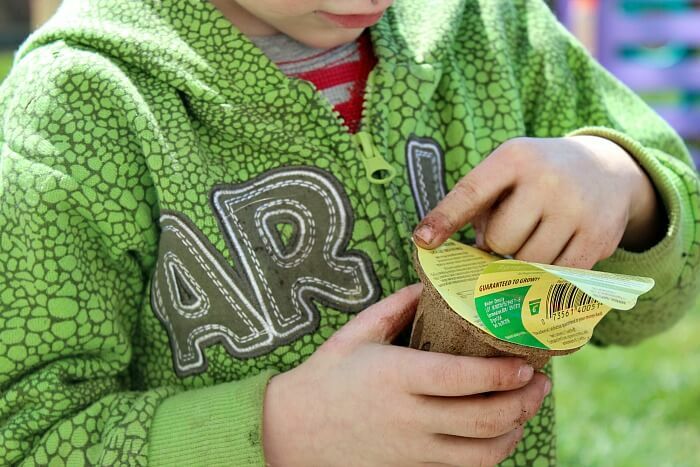 Gro-ables are so easy to plant that a 3 year old can do it! The pods are also biodegradable, so there's no mess or waste. Once everything is planted, you just need to water daily and in a week or two your seeds will begin to sprout! 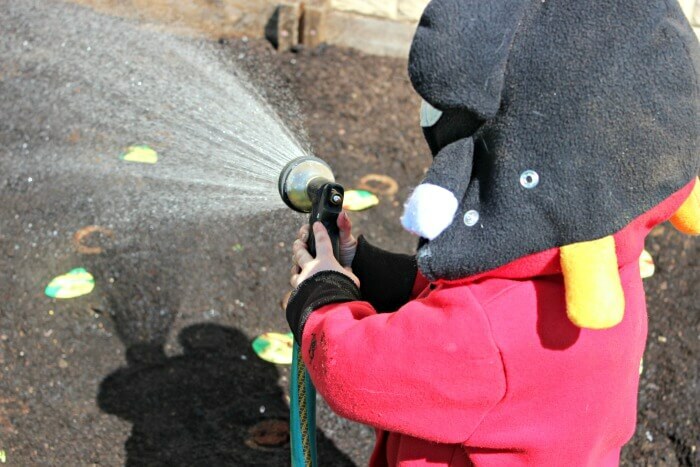 Watering the garden every day is one of our favorite activities. I love how tending to our garden gives us an opportunity to get outside every day while also learning about how food grows and our part in the earth. It also teaches my preschoolers a bit about patience, as they are ready for the garden to grow NOW! We're so excited to watch our garden grow. We made sure to label our plant pods so that we know what vegetables and herbs to expect, and to practice our alphabet too. 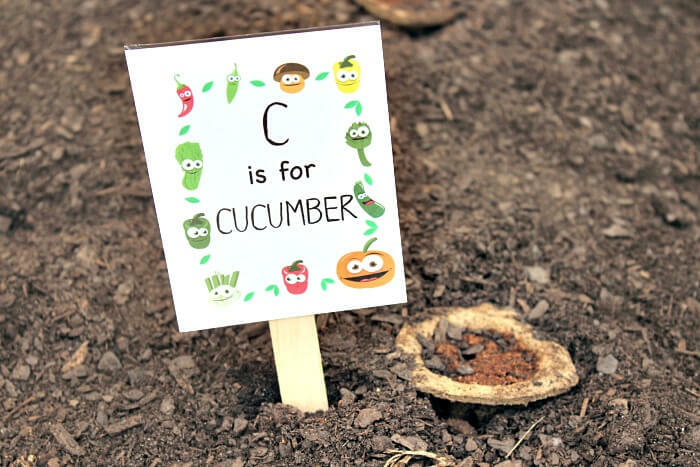 You can find my free printable alphabet garden markers here. Be sure to check out the Gro-ables Project to learn more! What's your favorite tip for growing plants with your kids? Leave a comment below or message me on Facebook and let me know!